Along with a new Xamarin Platform release, Microsoft this week also updated two other dev tools: Visual Studio Code got that terminal integration users have been asking for in the new version 1.2, while the June release of Windows App Studio now boasts a new REST API Data Source, its most requested feature. 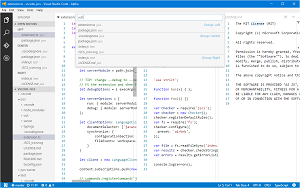 Visual Studio Code is Microsoft's slimmed-down code editor that provides a free counterpart to its fully featured Visual Studio IDE, while the beta Windows App Studio is Microsoft's entry in the crowded low-code -- or, in this case, "no coding required" -- landscape. Updates to both products reflect Microsoft's reliance upon its UserVoice mechanism for soliciting developer feedback and feature requests for its development tooling. 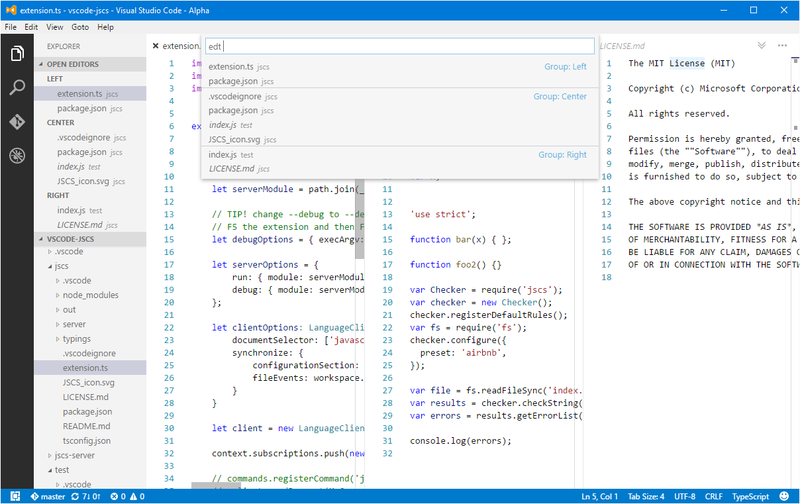 As we reported when Visual Studio Code hit version 1.0 in April, an integrated terminal was its top requested feature -- "under review" at that time -- for the free, open source code editor. In a post announcing this week's version update, Microsoft said, "A new integrated Terminal allows you to stay in VS Code while using your platform's shell," a request on the Visual Studio Code UserVoice site that garnered more than 6,000 votes and prompted 90 comments. However, the most requested feature, implementing tab support (8,577 votes), is still in the works. "We've made progress on Tab support, which you can preview using the Insiders Release," Microsoft's post said. Developers who sign up for the Insiders program get daily access to the latest code changes. The following graphic shows how the team is managing stacks of open editors en route to full tab support. The graphic shows two editors open in the left pane, four in the center pane and two in the right pane. Updates that did make it into version 1.2.0 include editor enhancements such as the "ability to trim automatically inserted whitespace, a new key binding to select all find matches, and the Peek view is now resizable." Others include: improved linting; more support for CSS, SCSS and LESS features; debugging improvements; better extension functionality; and numerous bug fixes. Microsoft thanked 14 developers for helping out with the open source project. 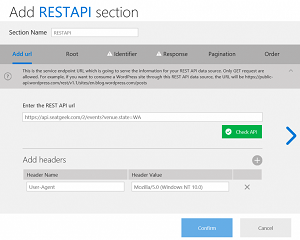 The star of the updated Windows App Studio, meanwhile, is the new REST API Data Source. "The major feature we're releasing today is a REST API Data Source, which is one the most requested features in the history of Windows App Studio," said a Tuesday blog post. "Much like the current RSS Data Source, this feature is open ended, meaning you can connect it to almost any open REST API service available on the Internet. REST APIs are the backbone of how data gets passed around the Web. If these are new concepts to you, an easy way to think about it is that APIs (Application Programming Interfaces) let different pieces of software talk to one another and REST (Representational State Transfer) is an architecturally structured way of 'packaging' those data communications." More work is planned for the new data source to make it less complex, Microsoft said, but it should be able to be used by non-developers in its present state without major problems. 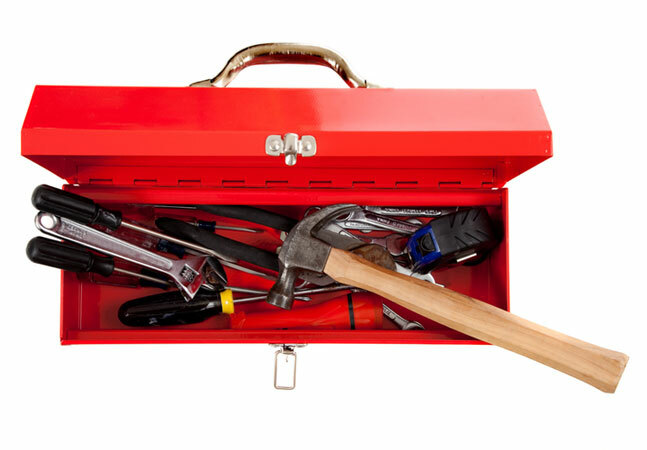 Among dozens of other improvements are: hosted Web app capability declarations; tool improvements such as better dark and light themes, simulator enhancements and better ordering and paging; and open source library and control improvements. One feature was dropped, however. "Due to policy changes by Instagram, we were forced to remove the Instagram data source," Microsoft said. "They no longer want their users' content accessed outside of their 1st party apps without explicit permission, so they shut off the capability of other apps to consume Instagram content if the apps do not get prior approval. Sadly, this means that all current implementations of the Instagram data source no longer work and should be removed from your apps and projects." Along with the Windows App Studio UserVoice site (where push notifications is now the top request), Microsoft invited developers -- or, in this case, non-developers -- to provide more feedback on the project's forum site. Also, developers -- or others -- who would like to contribute to the project can find its libraries on GitHub.